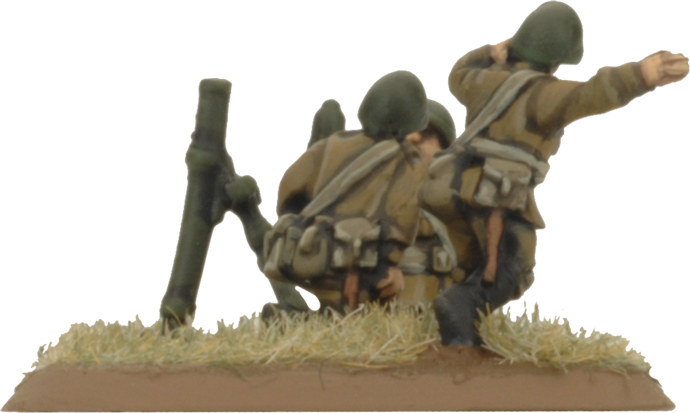 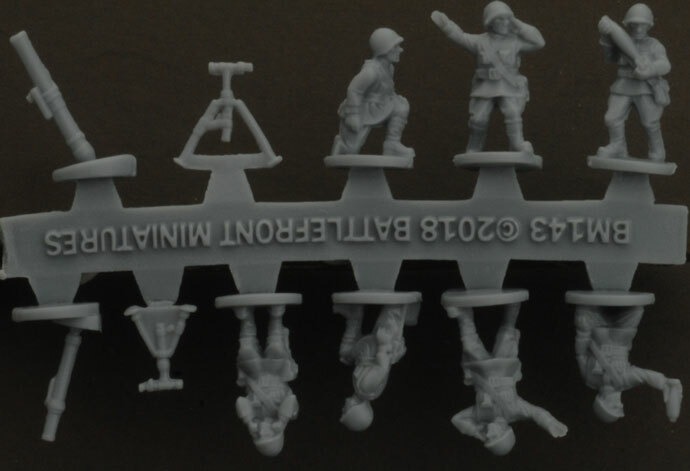 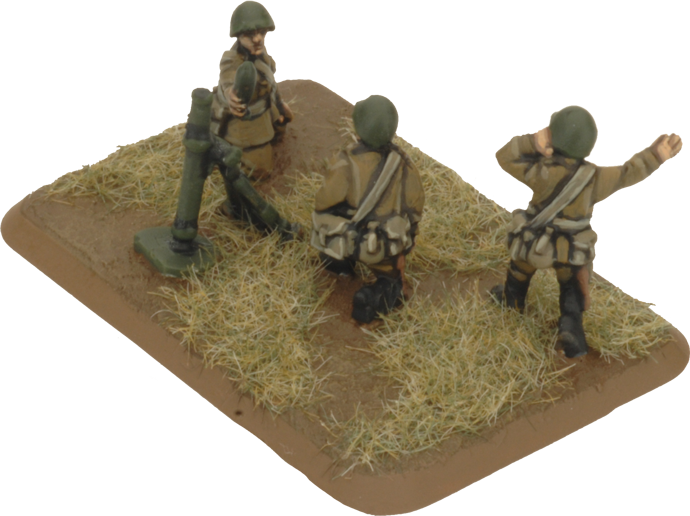 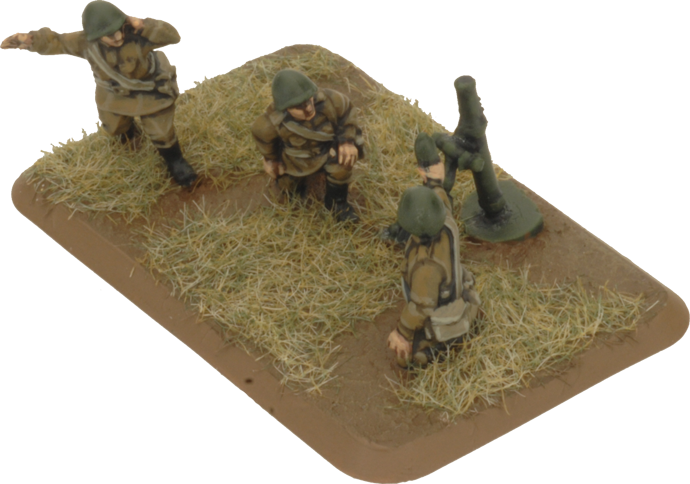 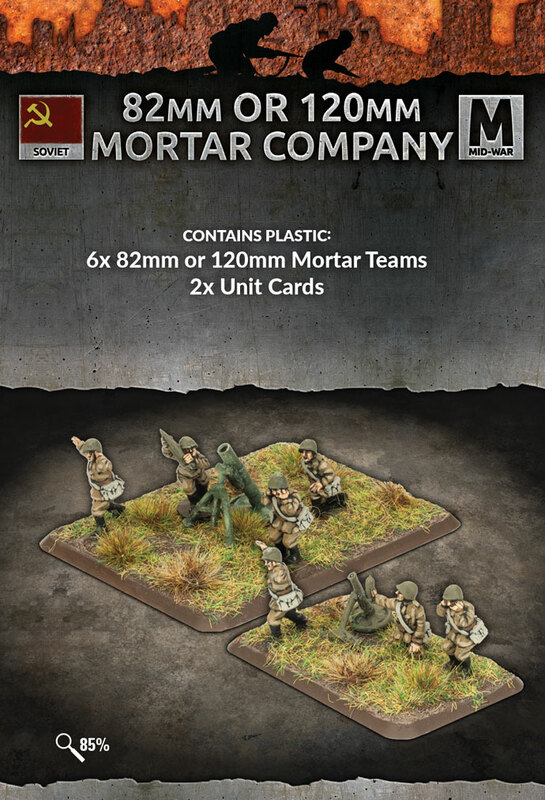 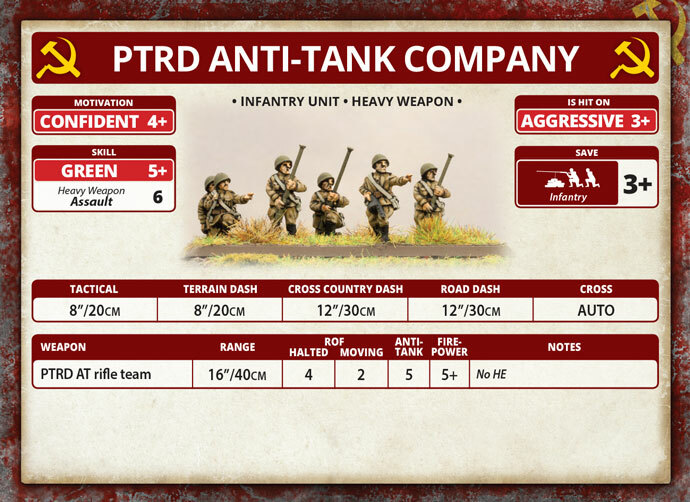 includes three 82mm and three 120mm Teams and two Unit cards. 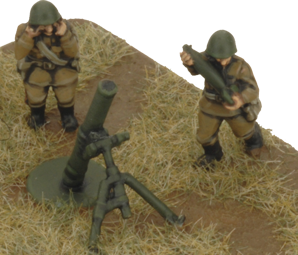 When the heavy guns of the artillery batteries are otherwise occupied, it is useful for the infantry to have their own indirect-fire weapon. The 82mm And 120mm Mortars can be just as good as the bigger guns at digging infantry out of cover. 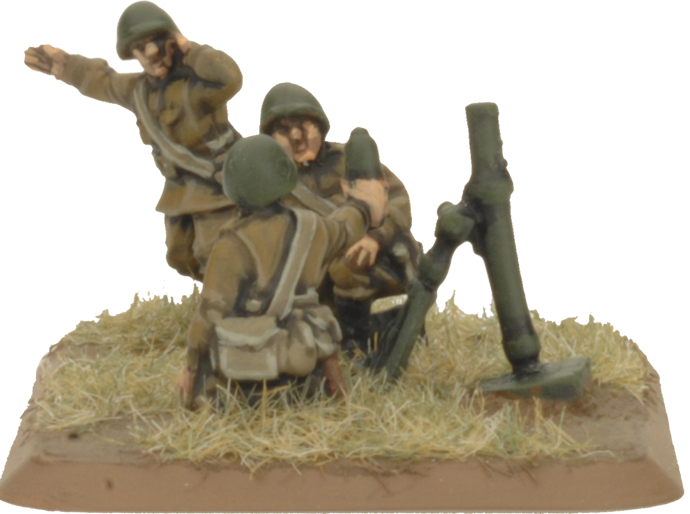 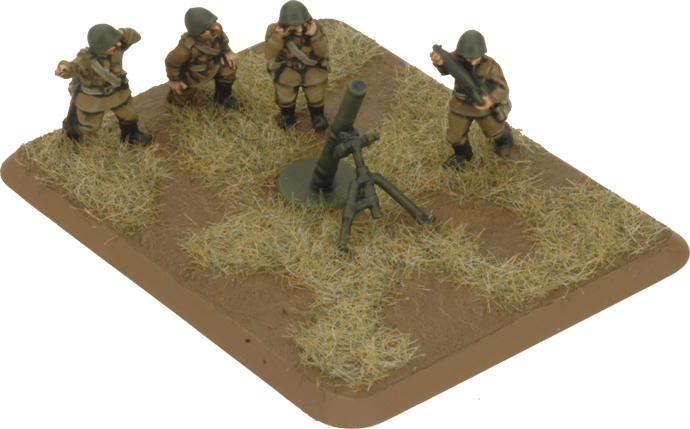 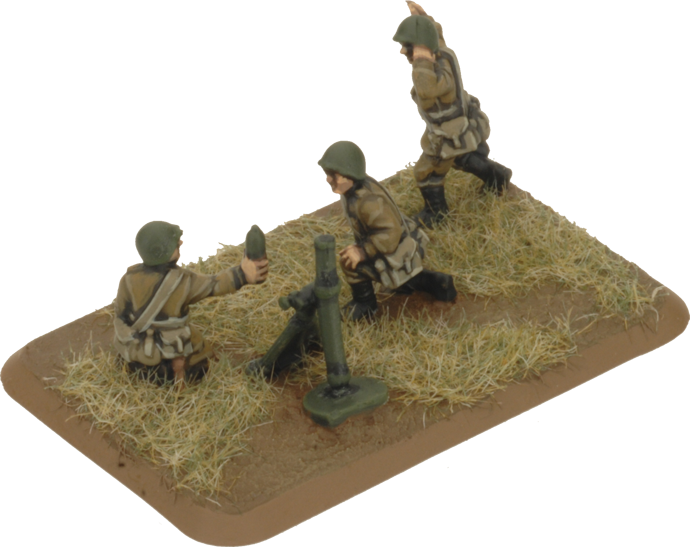 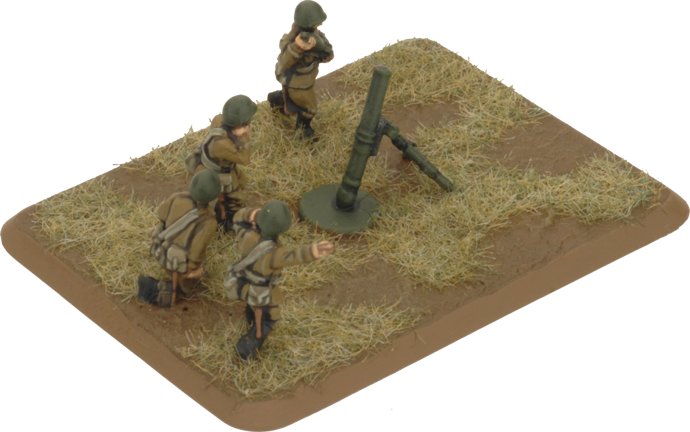 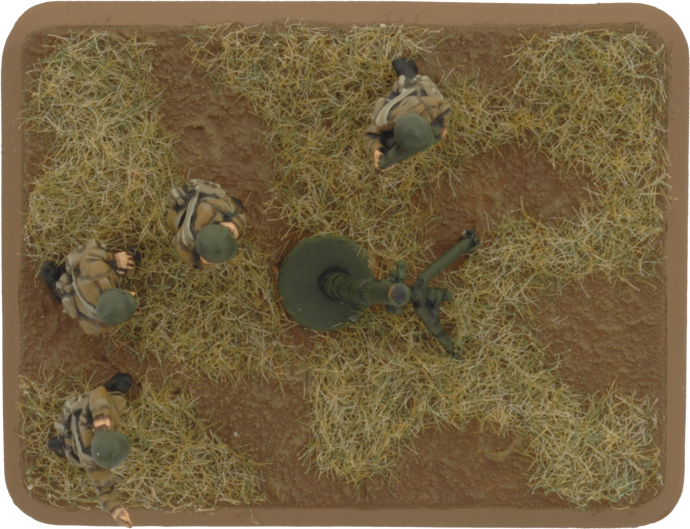 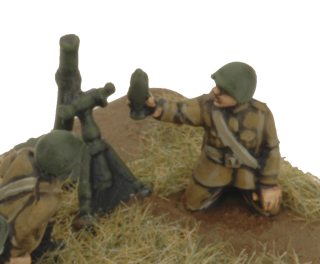 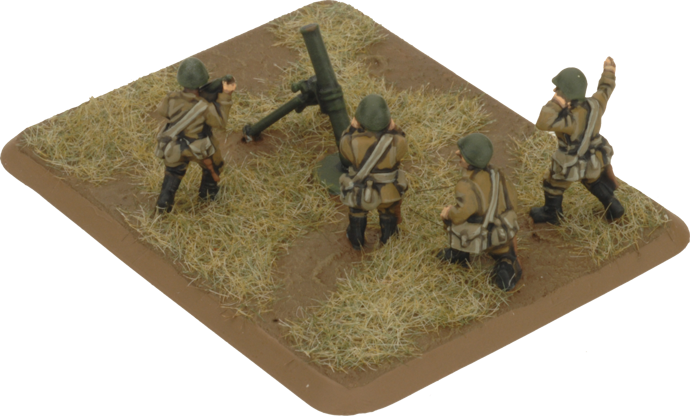 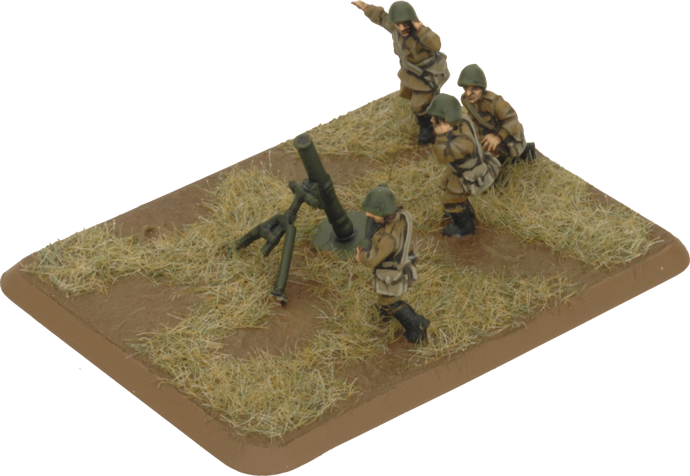 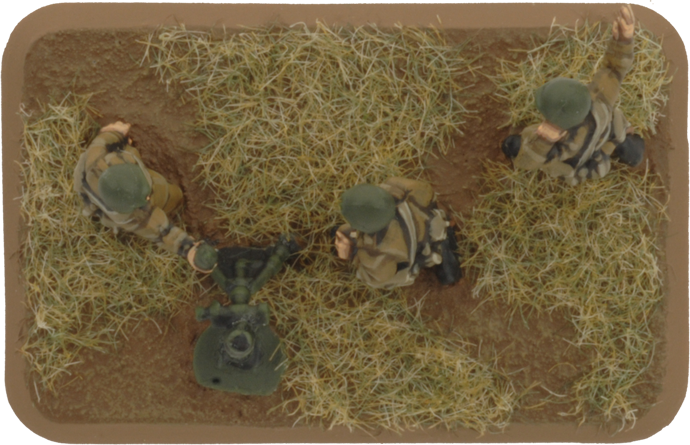 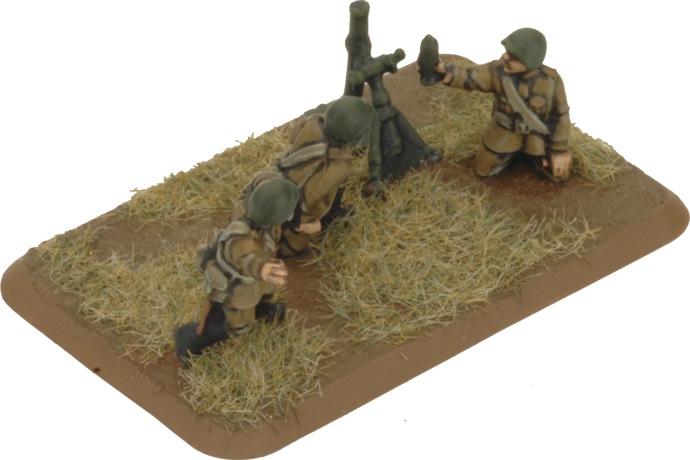 Soviet mortars have built-in wheels, so the mortars can move quickly to keep up with the infantry that they are supporting.